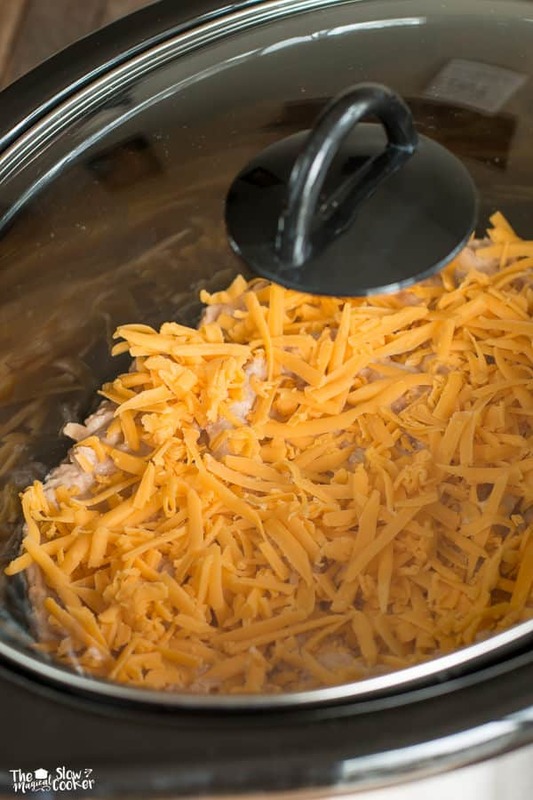 This Slow Cooker Creamy Bean and Cheese dip will be a hit at your next party! Hi all! I’m back from taking small break this last week. Trying to get my dreaded taxes done, who knew that owning your own business could have so much paperwork! I have been learning Quickbooks the last 2 months and inputting my business’s 2015 transactions. Never again will I save everything until the last-minute. With that behind me, I am ready to for a more regular schedule of posting recipes. This bean dip was such an easy appetizer! I wanted a simple bean dip, no salsa or jalapenos this time. I added a few spices to make the canned beans taste homemade. I was feeling ambitious the day I made this and made corn tortilla chips. 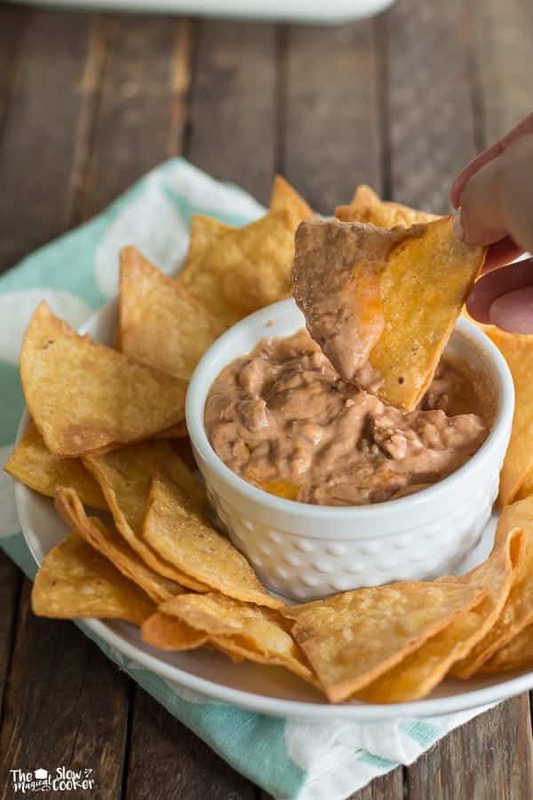 This Creamy Bean and Cheese Dip with the homemade corn chips is HEAVEN! Homemade chips aren’t hard to make, see how easy they are to make here. A few simple ingredients and less than 2 hours in the slow cooker produce this ultra creamy dip! Paired with homemade or store-bought tortillas chips. YUM! I used my 6-quart slow cooker for this dip. 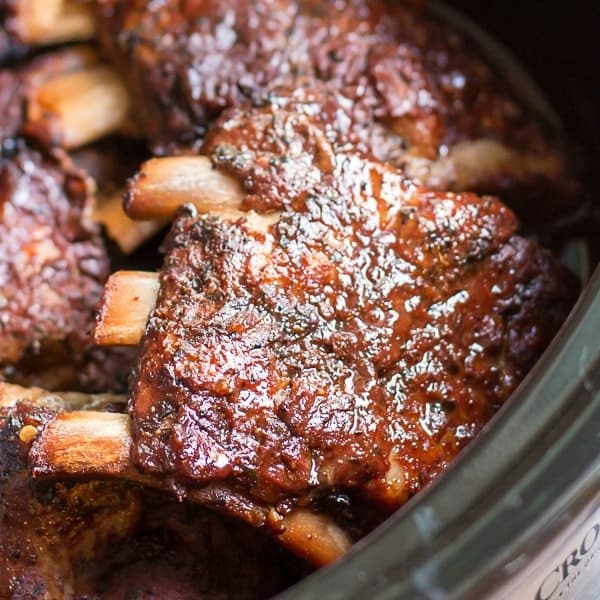 But any 3-quart or larger slow cooker will do. I hope you try this dreamy dip! I will be back this Friday with my freezer meal of the month! Have a great week! Place the beans, sour cream, salt, onion powder, cayenne powder and 1 cup of the cheese in to a medium-sized bowl. Mix together until smooth. Spread this mixture in an even layer in the slow cooker. Sprinkle over remaining cheese. Cover and cook on HIGH for 1 hour 45 minutes, or until heated through. 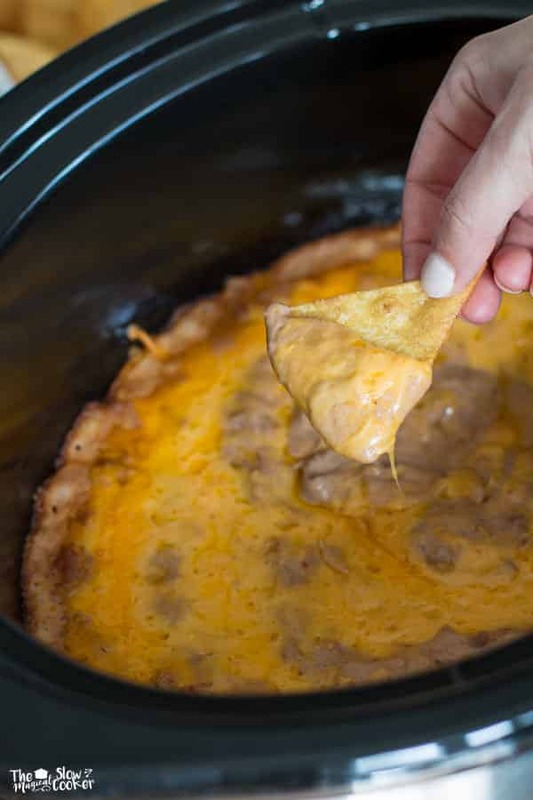 I cannot resist a bean dip and love that this one can be made in the slow cooker. Creamy and cheesy! This dip looks amazing! This would make a great bean tostada too! I have to go to a potluck tomorrow and this may be just what I was looking for!